c.1950. 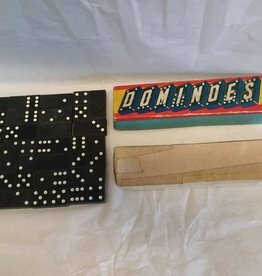 Dominoes, Double 6 Set (missing 1 piece) in original box. 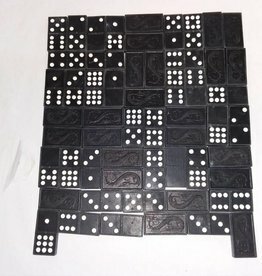 1940's, Complete Set of 56 Halsam Double Nine Dominoes. In original box. Box shows some wear but dominoes are in excellent condition.